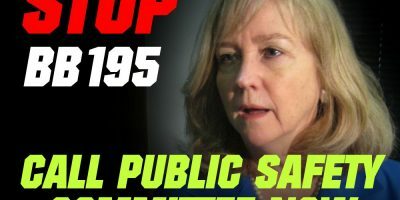 Bloomberg and His Front Groups Have Set Their Sights on Missouri – Act Now! It’s an all-out battle here in Jefferson City — and I need your help today. As we’ve been warning you about for weeks now, anti-gun organizations, like those funded by out of state billionaire Michael Bloomberg, are now mobilizing their people and doing everything they can to derail passage on Constitutional Carry legislation in the House! And they may be successful unless you and I can turn up the heat — right away. You see, Constitutional Carry scares anti-gunners like Bloomberg and his followers. While they hate the private ownership of guns, they at least know that concealed carrying gun owners in Missouri have to go through endless hoops to carry. Background checks, bureaucratic paperwork, permit fees, training classes, having your name added to a government list — it makes gun grabbers happy to know that you and I are treated like criminals just to carry a defensive firearm. That’s why they go berserk at the mere thought of Constitutional Carry — because Constitutional Carry law makes the permit to carry an optional permit! If you want a permit for reciprocity or convenience reasons, you’re free to apply for it. But if you don’t want to jump through those hoops to be able to carry, as a law abiding citizen, you wouldn’t have to. That’s the way it’s done in states like Alaska, Vermont, Maine, Wyoming, Arizona, West Virginia, and Idaho, as well as neighboring Arkansas and Kansas. Mississippi also just placed this bill on the Governor’s desk, and he’s expected to sign it into law. A full 20% of the country has enacted Constitutional Carry law, and the gun-grabbers have clearly decided to wage a major war to stop it here in Missouri! 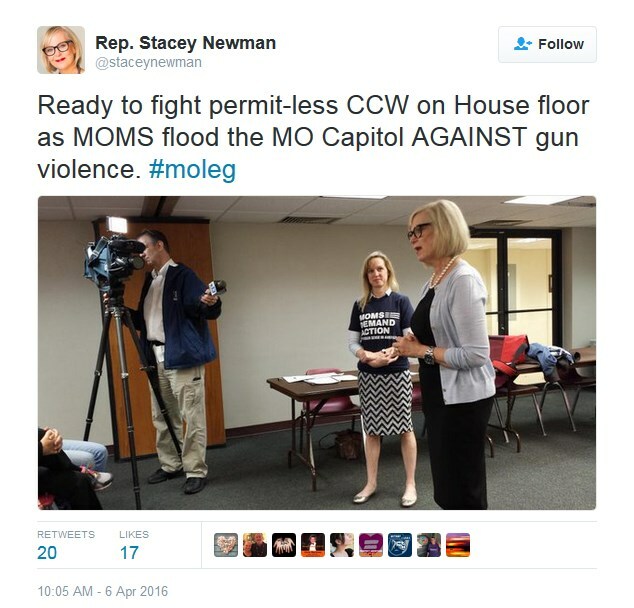 We saw this play out in real time last week as Rep. Stacey Newman held a rally wherein she vowed to do whatever she can to defeat Constitutional Carry here in Missouri. That’s why I need your immediate action. This legislation, HB 1468, has already passed two house committees and has been placed on the Perfection Calendar, meaning that it can be debated any time that Majority Leader Mike Cierpiot decides to call it up! But each day that passes without a vote allows time for the anti-gunners to mobilize in the Capitol. That’s why I hope you’ll take a moment to contact Speaker Todd Richardson and Majority Leader Mike Cierpiot right away and insist that they take action on this bill right away! You can contact Speaker Todd Richardson at 573-751-4039 or by emailing him at [email protected] and you can contact Majority Leader Mike Cierpiot at 573-751-0907 or by emailing him at [email protected]. But I also hope you’ll help me activate as many gun owners as possible by making an immediate and generous donation to the Missouri Firearms Coalition of $100! As I type this we’re using mail, email and sponsored social media tools to generate as many calls into the House as possible — but there is so much that I’m not able to do because we simply don’t have the funds yet. So if $100 if too much at this time, please consider a lower amount whether that be $50, $25 or even just $10. Whatever amount you can give will be put right to the fight here in Missouri. Please, whatever amount you can give, just do what you can right away! Finally, please forward this alert to all of your pro-gun friends. We need every gun owner in Missouri involved in this fight! I’m sick and tired of watching out-of-state billionaire Michael Bloomberg try to decide the limits of our rights here in Missouri — help us send him back to NYC where he belongs. P.S. 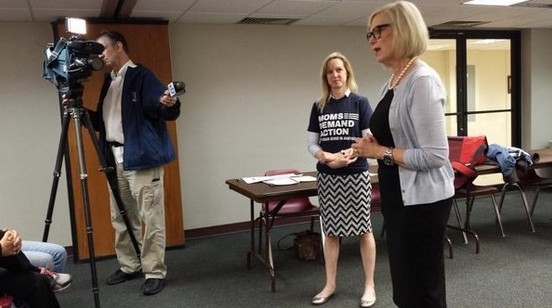 The fight is getting hot here in Jefferson City as NYC billionaire Michael Bloomberg’s front groups are now working hand-in-glove with Rep. Stacey Newman to crush HB 1468 — Constitutional Carry law for Missouri. They are trying to ram their radical, New York State agenda down our throats here in Missouri! Help us stop them, contact Speaker Todd Richardson at 573-751-4039 or by [email protected] and Majority Leader Mike Cierpiot at 573-751-0907 or [email protected]. Insist that they don’t buckle but rather schedule an immediate vote on HB 1468! Once you have, please consider donating to the Missouri Firearms Coalition as we’re working as hard as we can to mobilize gun owners in Missouri to call their elected officials. Whether you can give $100, $50, $25 or even just $10 today – please do so at once – so I can get the word out! 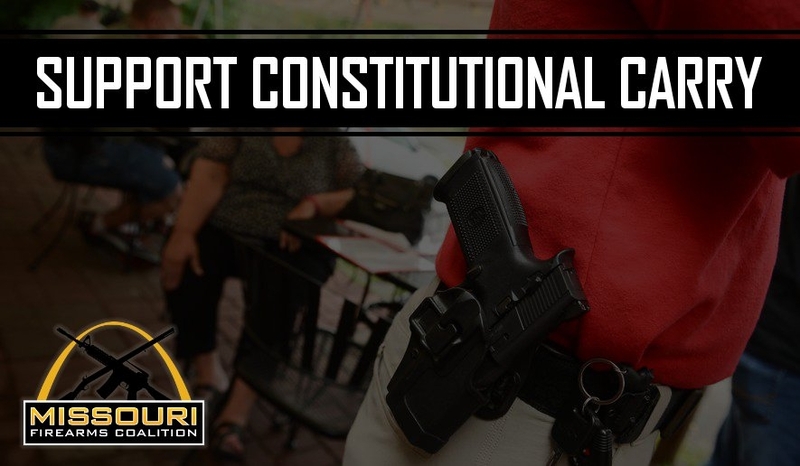 Constitutional Carry Moved to the Perfection Calendar – Your Calls Needed! 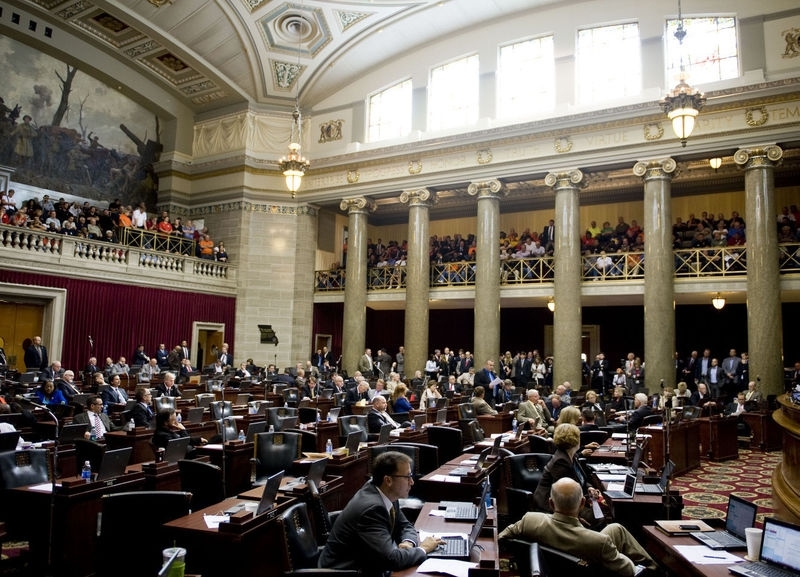 Missouri: Status on Constitutional Carry!